Here is my blog for the month of June 2017; if I'm honest, I struggle to choose where to begin. 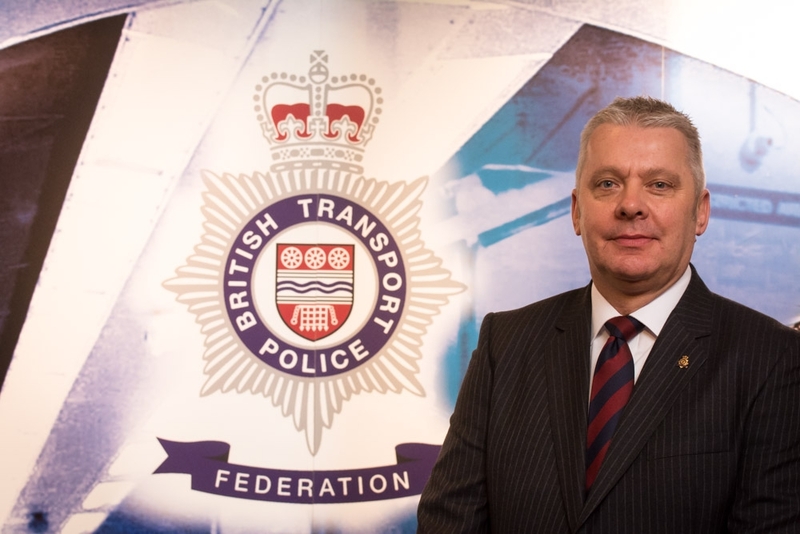 Last month I circulated my blog days after the alarming terrorist events in Manchester and I thanked all of our BTP colleagues who responded to this callous attack and the rest of the emergency services who were involved. As we all sat in shock in the aftermath of such destruction I suspect many would agree that no one could have imagined what was then to follow. In 27 years of policing I have never experience anything like this May and June. Not only did our officers experience the gruesome attack in Manchester, but many more were then involved in the atrocities at London Bridge, where a number of our colleagues, including our firearms officers, attended the scene and assisted with the repercussions of yet another terrorist attack. As was the case in Manchester, officers put the public first and ran towards danger. One officer ran at three terrorists armed with weapons and challenged them with nothing more than his own police-issue baton, whilst others attended to the injured and wounded members of public, putting their own safety to one side. These acts of bravery were astonishing and were also repeated by off duty Metropolitan Police officers and members of the public. Although lives were taken, many more were saved by first responders - including some of our own colleagues - off duty emergency staff and members of the public. Sadly, one of those BTP officers was seriously injured and at a time of writing he is still in hospital receiving treatment. We wish him well for a full recovery. Like many I trusted that the suffering was over, but then on the evening of 13 June, we witnessed the shocking fire at Grenfell Tower. An almost surreal incident that many of us will struggle to comprehend. Sadly more innocent lives were lost and now a lengthy investigation is underway. My hear and sincere sympathy goes out to all those that have lost loved ones and all those residents affected by this horrific fire. BTP officers again joined with the Metropolitan Police and are now helping with the delicate and sensitive task of recovering the deceased. My thoughts are also with those officers; no amount of training can really prepare you, but I know they will do their best for the families affected. Just days later we looked on in sorrow as a major incident unfolded in north London. A van was driven into worshippers as they left a mosque in the early hours of the morning, killing one person and leaving nine others injured. Again, the emergency services reacted as we would expect. Time after time we witness police officers - including our own colleagues - fire fighters, paramedics, doctors and nurses working together and reacting without hesitation to the most horrific of major incidents. I am personally so proud of you all but I'm sure I speak on behalf of millions who are proud of the blue light brigade who serve the public with self-determination and selfless motivation. It's sad, but inevitable that it takes a serious of incidents like this to remind people why, as a country, we need to invest in our emergency and health services. The Government cannot continue to treat the public services, with such obvious disrespect. I cannot put in to words how I felt when I visited officers in Manchester and London, and those recovering in hospital. You all deserve medals, praise and admiration but more importantly you deserve to be supported and valued by your Government. The impact of incidents like this can take time to emerge; they can also be long-lasting. I am pleased to report that BTP have been very supportive, TRiM has been successfully deployed and welfare has been a priority at a time when officers have experienced events that will be etched in their memories for the rest of their lives. We have a duty of care to each other. Look out for each other; talk things over and help where help is needed. More importantly if anyone witnesses the signs of anxiety or strain then please seek advice or guidance on what to do. Do not be afraid to ask for help. As reported last month the draft Scottish Railway Policing Bill is now being debated in the Scottish Parliament and the last stage of this process, stage 3 takes place on Tuesday 26 June 2017. Worryingly, stage 2 only took just over an hour to debate despite the fact no one knows exactly what legal mechanism will facilitate this transition. Nevertheless, we decided to write a letter to the Scottish Transport Minister and the Secretary of State for Transport (sharing those letters with the First Minister, Prime Minister and the Home Secretary) requesting that the Bill is suspended until the finer detail can be negotiated and consulted on. What is disappointing is that not one of the recipients has acknowledged our letter nor have they had the common courtesy to respond. We therefore wrote to all the Scottish MSP'S and informed them of the level of uncertainty around the proposed transformation and the lack of detail being provided by the Scottish Parliament. We know that the Labour party, the conservatives and the Lib Dems in Scotland do not fully support the integration of BTP into Police Scotland but the SNP seem determined to plough on regardless. It is shocking how the Scottish Government refuses to listen to any evidence highlighting the pitfalls of such a transition. The Scottish Police Authority are in turmoil after criticism from the HMICS and no one knows yet how this integration is going to work, what costs are involved and the full extent of the risk. All of these important aspects are simply being ignored. The response of the Scottish Government is that it will provide a single command structure and access to specialist policing. The reality is that the command structure will have no experience or understanding of the environment that we police and the extra specialism will be what? The mounted section for example. The truth is that there are no extra resources and no extra specialisms that Police Scotland can offer that will improve the policing service on the Railway. Their own 10-year strategy looks at cutting costs and freeing Police Scotland of 400 officers; how many of those 400 will be ex-BTP officers? We will continue debating and consulting with politicians both north and south of the border; we will not give up on those that we represent. As I have mentioned previously, we are witnessing the results of the implementation of the Demand Review. We have been contacted about the continued poor practice of cancelling officers rest days especially at weekends, last minute shift changes to cover gaps in the roster, and the lack of resources at various times of the day throughout the Force. We presented this evidence to the DRD team and the Chief Constable at the last JCC meeting. The Chief Constable, somewhat bemused by the number of cancellations, arranged an urgent meeting with the Federation, the DRD team and the Divisional Commanders. Because of this the Chief Constable committed to a fortnightly meeting until such time there is significant improvement in the cancellation of rest days. Each month it is predicted that the Force will need to cancel in the region of 3,500 rest days to meet the demand on the Force. This is clearly an unacceptable level and the Chief has stated that this was not the outcome he had envisaged. To address this shortfall, he has asked that the recruitment drive is revisited to speed up the intakes and increased numbers, and wants the Force to look at improving staff retention. He also wants to know exactly why rest days are being cancelled, what the demand driving the level of resources is, whether this can this be reduced in any way and finally what risk exists: risk to the public, to our officers, to the TOC's and to the Force. This is no easy task but the Force is short on resources, due to retention, TDR, sickness, HGD and recruitment. In total there are nearly 500 officers missing from the front line. This is clearly having a massive impact on frontline policing. As you may recollect I reported last month that we were to have our quarterly NNM with DCC Hanstock. Unfortunately, the DCC was unavailable for the last meeting but we did discuss numerous issues; the two main topics being overnight allowance and fuel allowance. On the overnight allowance, I invited the personnel present to put right a wrong. If not corrected in accordance with regulations, legal advice and BTPA direction I indicated that I would put an instruction out to all officers regarding staying away from home. Unfortunately the matter has still not been rectified. No one can be forced to stay away from home, officers are entitled at the end of their shift to return to their home police station, book off duty and return home no matter what the time or how many hours worked. So, until the Force agrees to pay the overnight allowance if you are instructed/ordered to stay away - whether in a hotel, hostel, army barracks or Buckingham Palace - you are entitled to refuse and go home. Regarding the fuel allowance, I had to remind the personnel present that it is unlawful for anyone in the Force to cease paying officers what they are entitled to when there is a policy or a regulation showing the officers are entitled to that allowance. If the Force wishes to change policy they can do so through due negotiations; they cannot make a draconian decision to stop paying someone until such time that a new policy has been negotiated. Any other process is wrong and although we are a disciplined service we are not in the armed services, hence why we have Police Regulations and T&C's to protect your rights. We still wait the confirmation of our own Machinery of negotiation and the working time agreement/roster agreement that has been back and forth for some time. We have also now had to submit a business case to retain a full time Treasurer within the Federation, which wait for the Force to make a decision on. Finally we have been asked to look at an amended grievance procedure and we wait to be consulted of a new limited duties policy, which should offer officers who become disabled better protection. We have now seen the results of the General Election and I'm sure that amongst members there are various views on the outcome. Nonetheless what is relevant to BTP is the change to the Conservative Party manifesto that seems to have removed the proposal of an Infrastructure Police Force. We wait confirmation of what the future of BTP looks like in this respect. Talking of the future, we await confirmation of funding for the Force to extend firearms capability outside London, which is something this Federation supports. The Force is also looking at issuing Taser to every frontline officer. Again, this is something we have been vocal on for some time; Taser is the best piece of PPE any officer can carry and we hope many will support these proposals. We will keep you updated on this as soon as we have more information. So it only leaves me to say to all in BTP: stay safe, watch out for each other and continue doing the excellent job you are all doing in very difficult circumstances. "When something is important enough, you do it even if the odds are not in your favour."